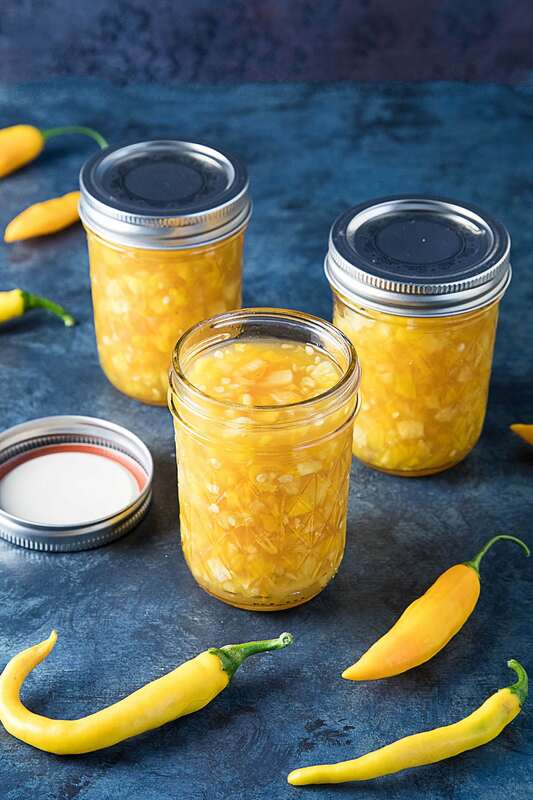 Summer is Hot Pepper Jelly making season, and there’s a jackpot of hot peppers in the farmers markets and grocery stores right now ~ maybe your garden is exploding with them! 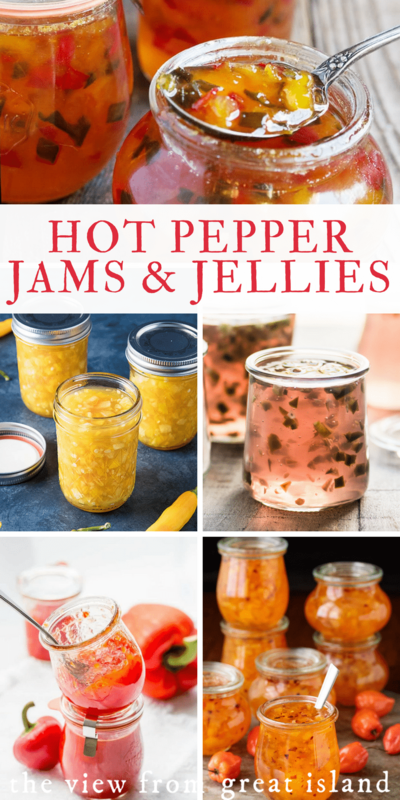 Cook up some of these sweet and spicy hot pepper jellies to enjoy now, and stash some away for fall and holiday entertaining. 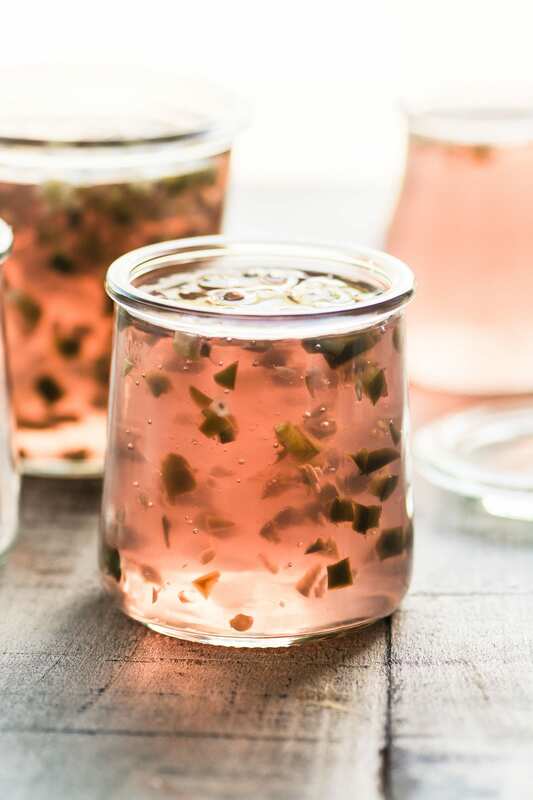 This is about as elegant as hot pepper jelly gets, and you can customize it with your favorite wine. 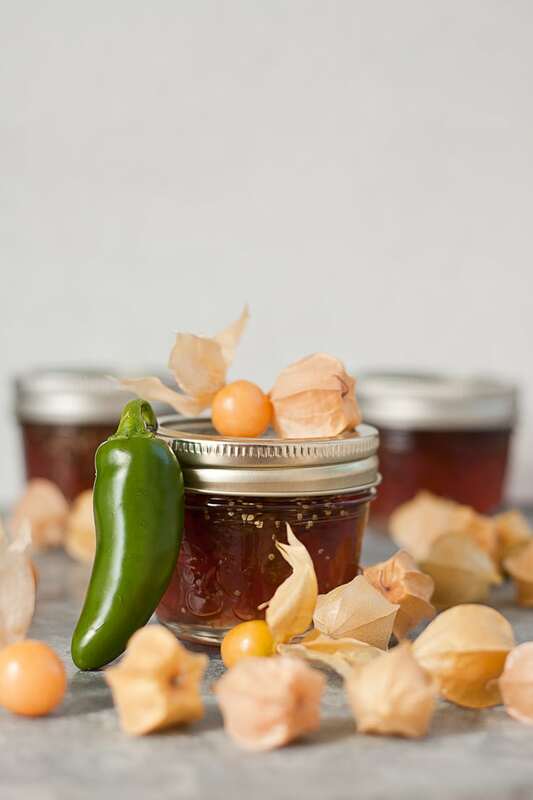 Ground cherries are in the same family as tomatillos, and have a nice tartness which pairs perfectly with the sweet and spicy flavors of this jalapeño jelly. 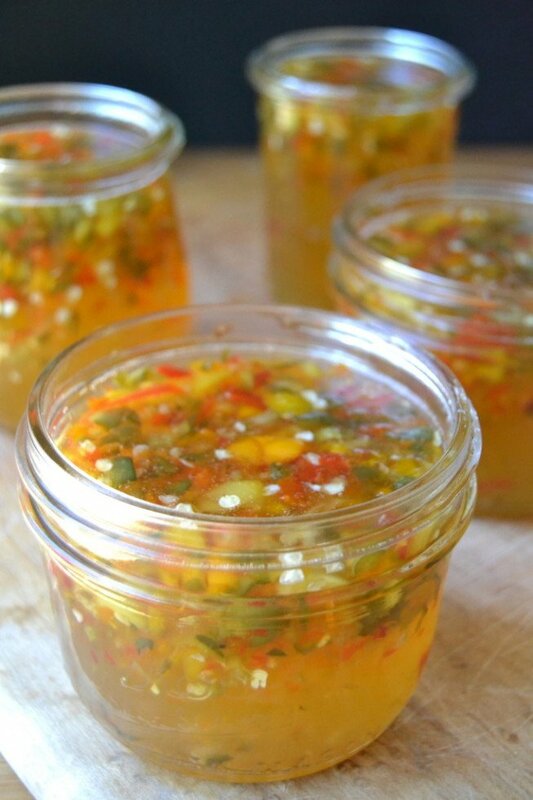 This simple hot pepper jelly recipe uses just jalapeños, resulting in a lovely golden-green clear jelly! The combination of sweet strawberry and fiery habanero is something you just have to taste for yourself. 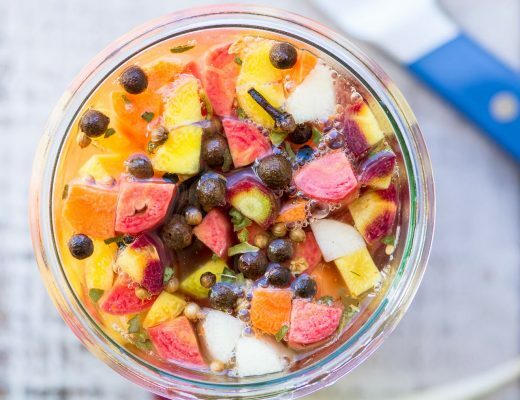 Sunny summer nectarines make the perfect counterbalance to the fiery heat of habanero peppers in this chunky jam. 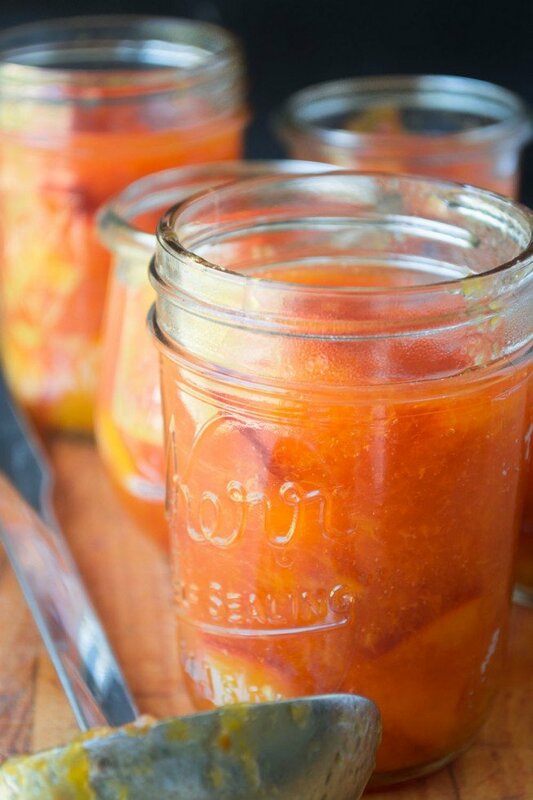 Peaches are another readily available summer fruit that make a great pairing with just about any hot pepper! 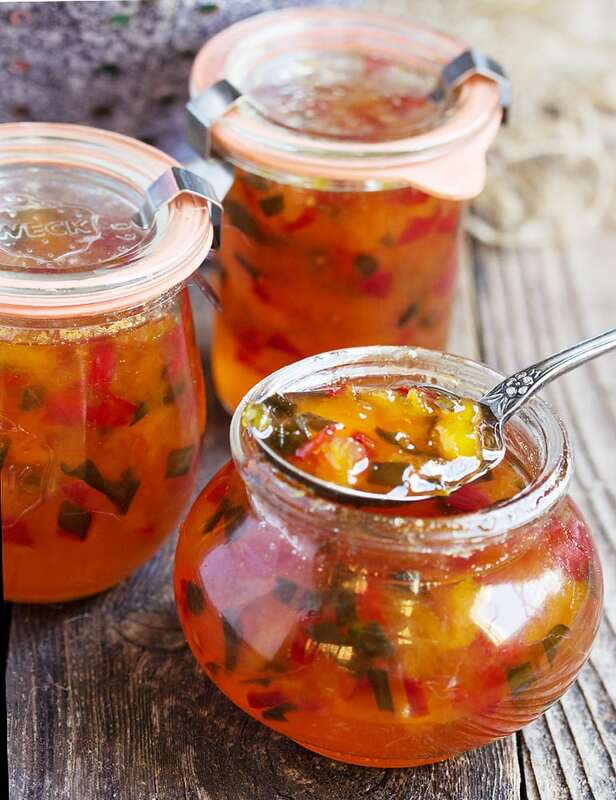 Hot red cherry peppers and red sweet peppers give this jelly its bright cheerful color. 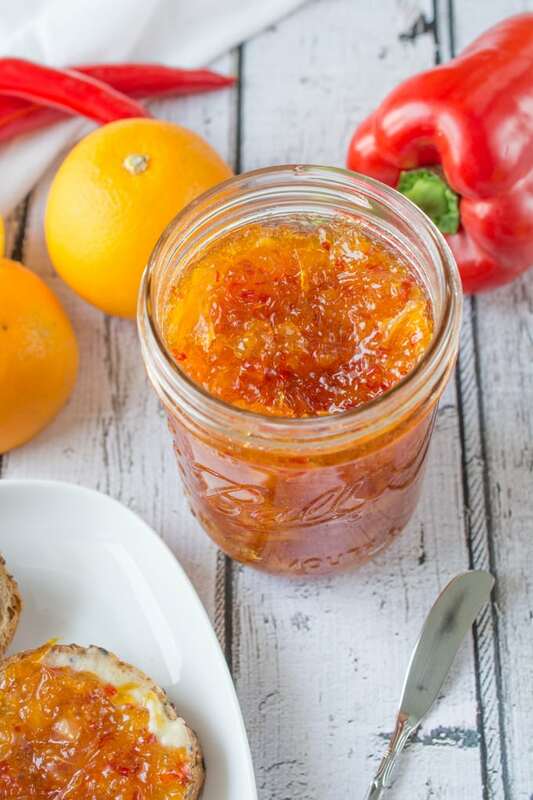 Pineapples and mangos give this pepper jam a beautiful sunshine-hue! 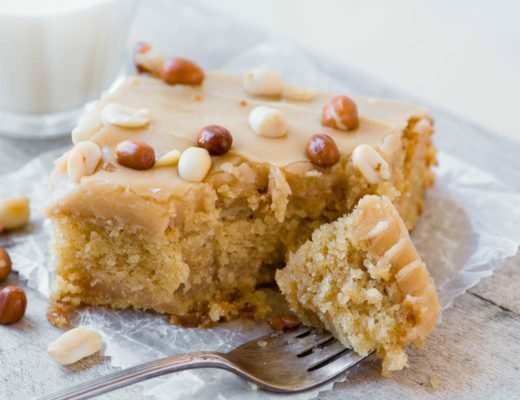 This is one of the most popular recipes on the blog, it’s been a favorite of readers for years. This glistening spicy apple jelly is almost too pretty to eat. 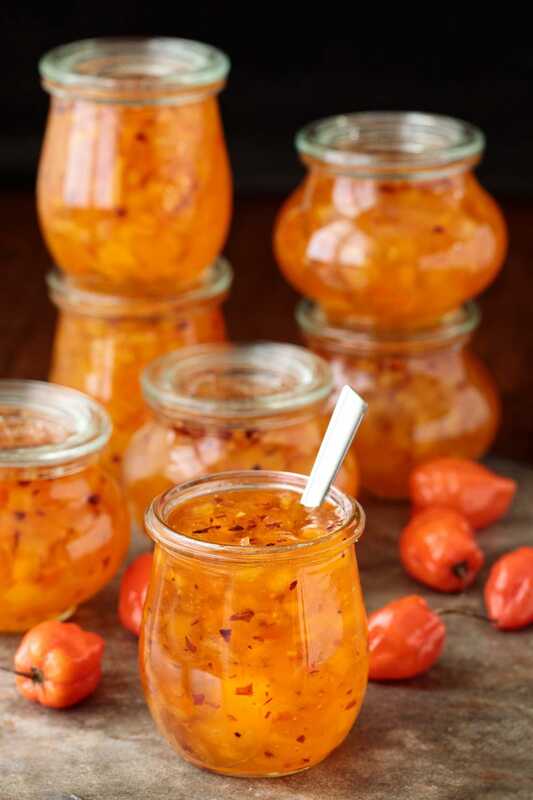 If you’re a marmalade lover you’ll flip for this citrusy hot pepper jelly. This delectable hot pepper jelly tops everything from cream cheese to pork tenderloin. 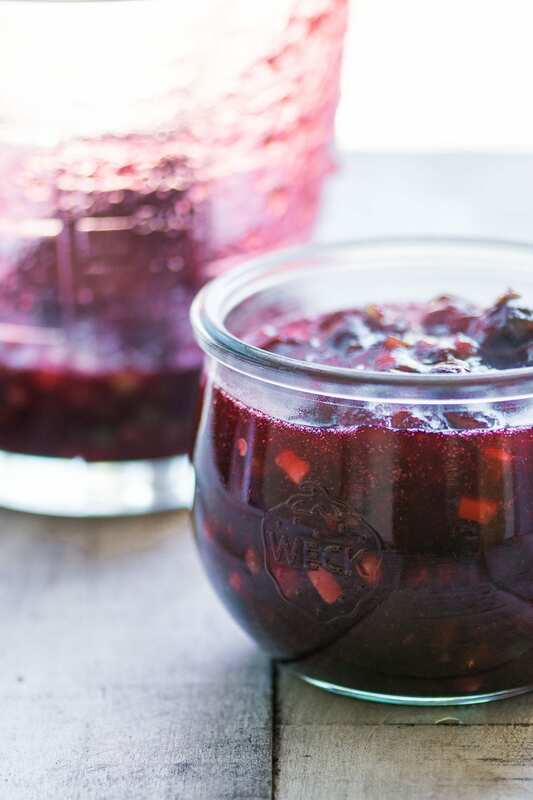 This cranberry hot pepper jam will make the absolute perfect accompaniment to all your holiday spreads. 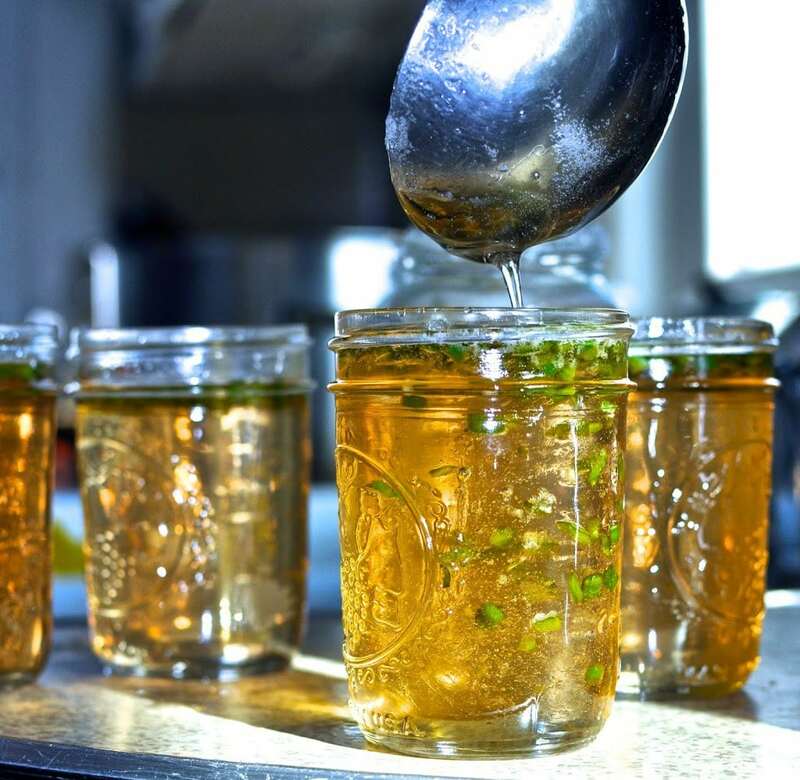 Thank you so much for including my apple jalapeno jelly. I can’t wait to try all these recipe this summer! 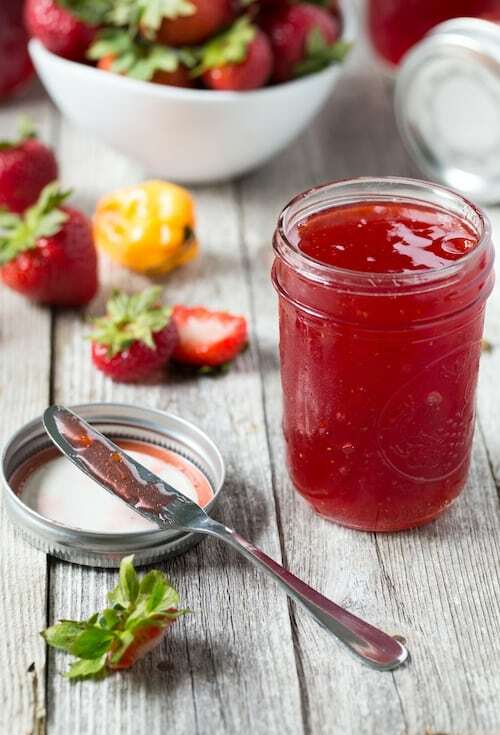 I am wondering if you have a sweet red cherry and jalapeno jam recipe? 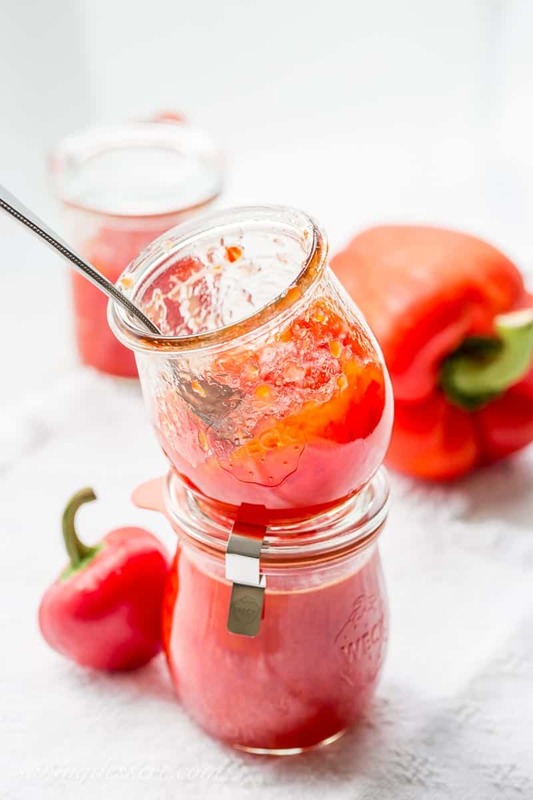 I can’t wait to try your pineapple pepper jam recipe! My fiancé and I made this jalapeño pepper jelly but we canned it and it didn’t thicken up! We made it in the canner because we don’t have enough freezer room. Do you have any idea as why they didn’t gel? It made 7 half-pints. Made my version last week. Will try your recipe the next time. It is soooooooo good! Love it with cottage cheese. Sounds like a weird combination but it works. That’s a new one on me, I’ll have to try it! A good pepper jelly is a MUST in my refrigerator. 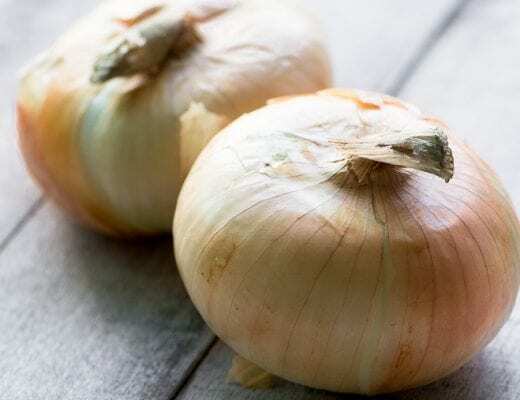 They are great as simple spreads, but I also use them as glaze starters or as a quick topping for grilled foods. I love this collection of recipes! Since we unofficially “met” on the weekend, I wanted to respond to this post. 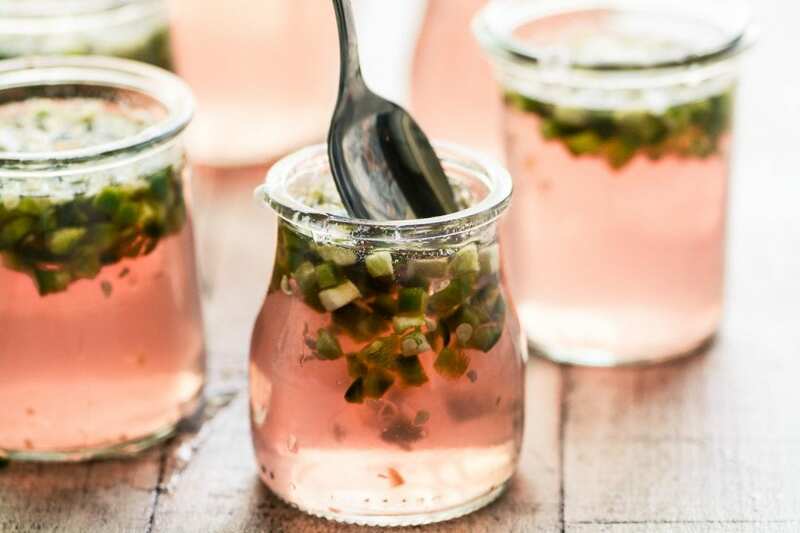 Talk about perfect color and flavor explosions…the jalepeno jams are all so beautiful, but I’ve never seen anything like the Rosé Wine Hot Pepper Jelly. All of a sudden I’m planning a bridal or baby shower with jars of that as the main element – for food and decoration! The second one I’ll try is your Hot Pepper Cranberry Jam. Just found a bag of frozen cranberries that needs using before fall arrives. 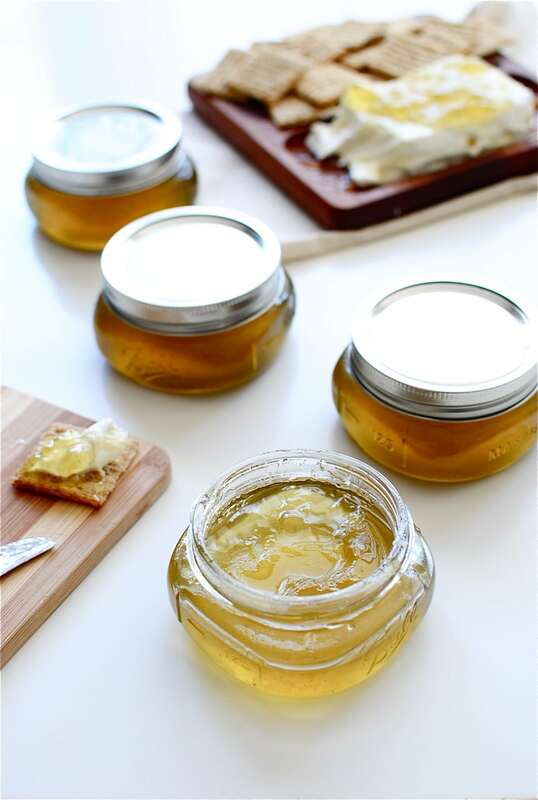 Thanks for bringing us along on your preserving adventure! You’re so welcome Anna, I’m glad you’ve found your way to tvfgi! 1) Do you know if Sure Jell is vegetarian? If not, is there a good substitute that is vegetarian? 2) You mention goat and cream cheese for these hot jellies…….are there any specially delightful combinations that you would recommend ? Like which different cheeses with which of your hot jellies? Yes, Sure Jell is vegetarian/vegan. And really, Mino, I have never met a hot pepper jam or jelly that didn’t go great with cream cheese or creamy goat cheese, for a little more tang. They’re also great with triple cream, Brie, and Camembert. I also do Raspberry and Blueberry pepper jelly. I think the combination of any berries with the peppers is awesome. I’ve been planning to make a raspberry hot pepper jam all summer, but I’ve never heard of blueberry, that sounds interesting!